National Taiwan Normal University, B.F.A. 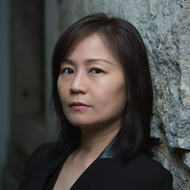 Award-winning composer Yu-Hui Chang has written a wide range of music that compels and resonates with professional musicians and audiences alike. Her music has been performed across continents in the Netherlands, Italy, UK, Denmark, New Zealand, Australia, China, Japan, South Korea, Taiwan, and throughout the U.S. to critical acclaim. Among the commissions she has received are those from Fromm, Barlow, Koussevitzky, Naumburg, Meet the Composer (New Music USA), BMOP, San Francisco Chamber Orchestra, Taipei Symphony Orchestra, Left Coast Chamber Ensemble, Earplay, Volti, Boston Musica Viva, Triple Helix, Monadnock Music Festival, Arts Council Korea, Mondavi Center for the Performing Arts, and National Chiang Kai-Shek Cultural Center of Taiwan. She is the recipient of the Guggenheim Fellowship, Radcliffe Institute Fellowship, Yoshiro Irino Memorial Prize, and Aaron Copland Award. She is also awarded the Charles Ives Fellowship (2009) and the Arts and Letters Award (2017) from the American Academy of Arts and Letters. Chang, Yu-Hui. "Alter Ego" - for solo cello; Commissioned by the Walter W. Naumburg Foundation, written for cellist Lev Sivkov. 2019. Chang, Yu-Hui. "Germinate" - for flute/piccolo, bass clarinet, violin, cello, piano, and percussion; Commissioned by Boston Musica Viva. 2019. Chang, Yu-Hui. "Incredulous" - for alto flute, bass clarinet, horn, violin, viola, cello, double bass, percussion and piano. 2018. Chang, Yu-Hui. "In the Gentle Breeze, We Sing" - for chamber choir, children's choir, piano and 2 percussionists; commissioned by the Innovation Series 2017, the National Theater & Concert Hall, Taiwan. 2017. Chang, Yu-Hui. "The Path in Front of Me" – for mezzo soprano, violin, cello and marimba; Commissioned by Shelter Music Boston. 2017. Chang, Yu-Hui. "Mind Like Water" - for string quartet. 2016. Chang, Yu-Hui. "A Long Overdue Sequel" for percussion solo. 2015. Chang, Yu-Hui. "Pixelandia" for orchestra; a commission from Boston Modern Orchestra Project with funding provided by the Fromm Music Foundation. 2015. Chang, Yu-Hui. Composer. "Worries Just As Real" – for violin and piano; recorded by violinist Daniel Stepner and pianist Donald Berman. Centaur Records, 2015. Chang, Yu-Hui. "Intersect" for flute/bass flute, clarinet/bass clarinet, violin, cello, and piano; commissioned by East Coast Contemporary Ensemble. 2014. Chang, Yu-Hui. "It Might Be Lonelier Without the Loneliness" for soprano and piano, with lyrics by Emily Dickinson; commissioned by Sarah Pelletier and Lois Shapiro. 2014. Chang, Yu-Hui. "On the Podium" for flute, clarinet/bass clarinet, piano and percussion; commissioned by the Empyrean Ensemble. 2014. Chang, Yu-Hui. Metamorphosis – for solo marimba with 6 mallets and 14 percussion instruments; commissioned by Pei-Ching Wu. 2014. Chang, Yu-Hui. "Ching" – for mixed chorus and eight instrumentalists; Commissioned by the Taipei Symphony Orchestra Chorus. 2013. Chang, Yu-Hui. Composer. "Rio del Tizon" – for solo cello; cellist Rhonda Rider's CD album titled "The Grand Canyon Project". MSR Classics, 2013. Chang, Yu-Hui. "In Thin Air" – for violin, piano, and percussion; written for Dinosaur Annex Music Ensemble. 2012. Chang, Yu-Hui. "Under a Dim, Orange Light" for flute, viola, and guitar; Commissioned by the Left Coast Chamber Ensemble. 2012. Chang, Yu-Hui. Composer. "Being: Two Collins Songs" for a cappella chamber choir, in Volti's "House of Voices" album. Innova Recordings, 2012. Chang, Yu-Hui. "Pu Songling's Bizarre Tales" - for erhu, pipa, yangqin, piccolo/alto flute, bass clarinet, and percussion; Commissioned by Meet the Composer. 2011. Chang, Yu-Hui. "When the Wind Comes, the Grass Bends" for string quintet; commissioned by the Lydian String Quartet. 2011. Chang, Yu-Hui. "Being: Two Collins Songs" - for a cappella chamber choir; Lyrics by Billy Collins; Commissioned by Volti. 2010. Chang, Yu-Hui. "Burst" - for four clarinetists; Commissioned by the Magic Clarinet Quartet. 2010. Chang, Yu-Hui. "It Is an Illusion You Were Ever Free" - for women's choir and piano trio; Lyrics by Frank Bidart; Commissioned by the Barlow Endowment and Triple Helix Piano Trio. 2010. Chang, Yu-Hui. "Rhetorical Flourishes: Three Shepard Songs" - for soprano, viola, clarinet/bass clarinet, and percussion; Lyrics by Neil Shepard; Commissioned by the Monadnock Music Festival. 2010. Chang, Yu-Hui. "Rio del Tizon" for solo cello; Commissioned by cellist Rhonda Rider. 2010. Chang, Yu-Hui. "Toil, Live, and Sing" - for ajaeng, violin, and violoncello; Written for the Pacific Rim Music Festival 2010. 2010. Chang, Yu-Hui. Composer. "Tangled in Smoke" for solo piano, in Amy Briggs' "Tango for Piano" album. Ravello Records, 2010. Chang, Yu-Hui. "At the Brink of the Chill" for violin, viola, cello, double bass, and piano; Commissioned by the Koussevitzky Music Foundation and the Left Coast Chamber Ensemble. 2009. Chang, Yu-Hui. "Sky Lantern" for a large flute ensemble; Commissioned by the Tone Melody Flute Ensemble. 2009. Chang, Yu-Hui. "Through Time…, with Su Shr" - for violoncello and piano;	Commissioned by cellist Rhonda Rider. 2009. Chang, Yu-Hui. Pianist. "Tribute to Chou Wen-Chung" CD. Albany Records, 2009. Chang, Yu-Hui. "Dou Zhen" - for six percussionists; Commissioned by the Ju Percussion Group. 2008. Chang, Yu-Hui. "Flicker" - for piano trio; Commissioned by the Triple Helix. 2008. Chang, Yu-Hui. "The Orphan of Zhao" (Concert Version). 2008. Chang, Yu-Hui. "Worries Just As Real" for violin and piano; Commissioned by the National Chiang Kai-Shek Cultural Center. 2008. Chang, Yu-Hui. "Binge Delirium" - for percussion solo; Commissioned by Chris Froh. 2007. Chang, Yu-Hui. "Mountain is Mountain" for Flute and String Orchestra; Commissioned by the San Francisco Chamber Orchestra. 2007. Chang, Yu-Hui. "The Orphan of Zhao" - incidental music for a play of the same title; Commissioned by the Brandeis Theater Company and the MusicUnitesUS. 2007. Chang, Yu-Hui. "Wu" - for gayageum and cello; Commissioned by the Arts Council Korea. 2007. Chang, Yu-Hui. Conductor. Ross Bauer's CD "Ritual Fragments". Albany Records, 2007. Chang, Yu-Hui. "Lonebird" - for piano solo; Commissioned by Chamber Music Now, for pianist Marilyn Nonken. 2006. Chang, Yu-Hui. "Lost Threads" - for piccolo/alto flute, viola, bass clarinet, and percussion; Written for the Empyrean Ensemble. 2006. Chang, Yu-Hui. "Orpheus With His Lute" - for chamber choir. 2006. Chang, Yu-Hui. "Three Fantasias" - for solo clarinet; Commissioned by clarinetist Wen-Shin Chang of Taipei Symphony Orchestra. 2006. Chang, Yu-Hui. Composer. Shadow Chase (Recording). Chamber Music Partnership, Inc., 2005. Chang, Yu-Hui. "Tangled in Smoke" - for piano solo; Written for pianist Amy Briggs. 2004. Chang, Yu-Hui. "Transpiration" for piano trio; Written for pianist Amy Briggs and the Empyrean Ensemble. 2004. Chang, Yu-Hui. "Longing for String Trio" - for violin, viola, and cello; Commissioned by The 2003 International Festival of Women in Music Today, Seoul. 2003. Chang, Yu-Hui. "Lotus Piercing Tender" - for four violas; Written for the Violafest!. 2003. Chang, Yu-Hui. "Shadow Chase" - for string quartet; Commissioned by the Left Coast Chamber Ensemble. 2003. Chang, Yu-Hui. Composer. Ballade (Recording). Azica Records, 2003. Chang, Yu-Hui. "Perplexing Sorrow" - for flute, viola, and piano; Commissioned by Earplay. 2002. Chang, Yu-Hui. "kai men da ji" - for piano and string quartet; Commissioned by the Mondavi Center for the performing Arts, written for pianist Lara Downes and the Alexander String Quartet. 2002. Chang, Yu-Hui. "Subliminal Waters" - for violin solo. 2001. Chang, Yu-Hui. "The Horizon Unfolds" - for clarinet, bassoon, cornet, trombone, percussion, violin, and double bass. 2000. Chang, Yu-Hui. "Amid Haze" - Concerto for Erhu and Chamber Orchestra; Commissioned by ALEA III. 1999. Chang, Yu-Hui. "Ballade" - for piano solo. 1998. Chang, Yu-Hui. Duet for Clarinet and Violoncello. 1997. Chang, Yu-Hui. "Sestetto No.2" - for flute, clarinet, violin, cello, piano, and percussion. 1996. Chang, Yu-Hui. "A Common Man's Dream" - for tenor and piano. 1995. Chang, Yu-Hui. "Clarinet Quartet" - for four B-flat clarinets. 1995. Chang, Yu-Hui. Concerto for Clarinet and String Orchestra. 1995. Chang, Yu-Hui. Music for Chamber Orchestra. 1992. Chang, Yu-Hui. Music for Marimba Solo. 1992. Chang, Yu-Hui. "Escape" - for flute solo. 1991. Chang, Yu-Hui. "Ripples" - for flute, violin, cello, and piano. 1990. Chang, Yu-Hui. "Sestetto" - for soprano, flute, clarinet, violin, cello, and piano. 1990. Chang, Yu-Hui. "Clarinet Sonata" - for clarinet and piano. 1989.